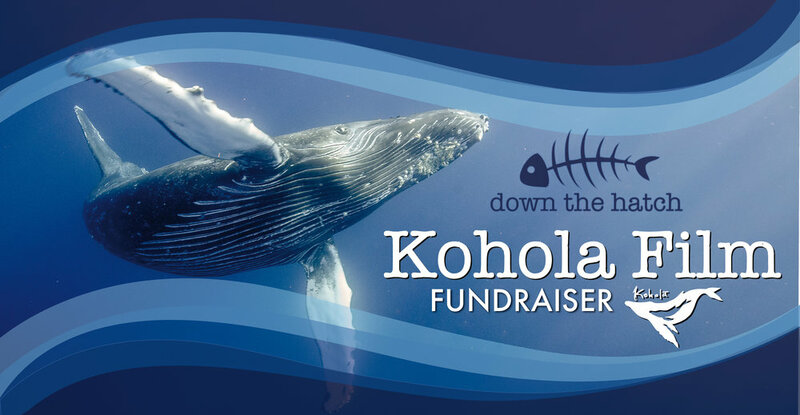 Kohola Film Fundraiser ðŸ�‹ Saturday, February 9th 6-10pm Support the project - Support Local - Open to the Public - Live Music, Photography, & some serious whale time! NO COVER, ACCEPTING DONATIONS w/ 100% going to the Kohola Blue Film. Collecting donations to raise money to film baby whales near the Hawaiian islands. Promoting conservation by inspiring life-long love and respect for the worldâ€™s oceans through storytelling; utilizing the power of photography and film. Under permit (20993) and with support from National Geographic, MARES, Naish, Maui Jim and Meet the Ocean, we are embarking upon a nearly impossible goal: to film the birth of a humpback whale.